The man accused of killing a McHenry County sheriff’s deputy has said he is innocent of the charges pending against him. Floyd E. Brown entered a “not guilty” plea during a March 20 appearance in Rockford federal court. Brown faces charges in connection with the March 7 shooting death of McHenry County Sheriff’s Deputy Jacob Keltner. 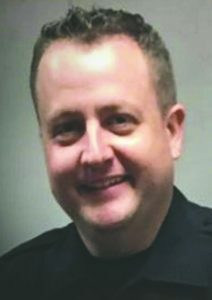 A Crystal Lake resident, Keltner, 35, was part of a multijurisdictional team serving a warrant at a Rockford hotel when the shooting occurred. The intended recipient of that warrant, Floyd E. Brown, of Springfield, allegedly shot Keltner as the suspect was attempting to flee the scene. U.S. Attorney John Lausch said a grand jury has indicted Brown, 39, of Springfield, on three charges. Brown faces charges of murder, possession of a firearm by a felon and possessing weapons with obliterated serial numbers. 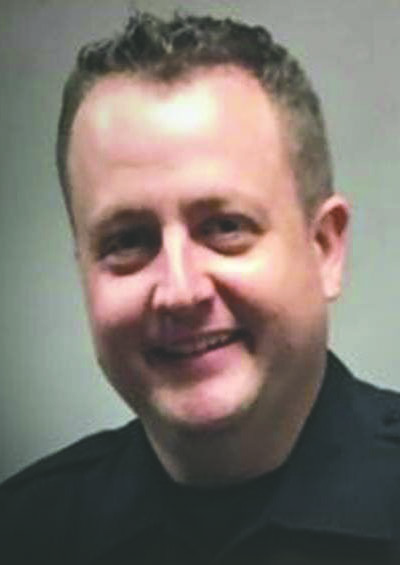 Because Keltner was part of a U.S. Marshal’s task force, Brown faces federal charges, in addition to state charges, and could receive the death penalty, if convicted of murder. “It is a possible penalty,” Lausch said of the killing of the special agent U.S. marshal. He said if “aggravating and mitigating” factors are determined in the case, prosecutors could seek the death penalty. Otherwise, a murder conviction could mean a sentence of life in prison for Brown. The indictment contends that Brown, a convicted felon, possessed two loaded Smith & Wesson 9 mm pistols, a loaded Ruger .22-caliber rifle and a loaded ROMARM 7.62×39 mm rifle. All the weapons had the serial numbers obliterated, according to Lausch. The government has filed paperwork to have all four weapons forfeited to federal authorities should Brown be convicted. Federal authorities said Brown has 142 rounds of .22-caliber bullets, 383 rounds of 7.62×39 mm bullets, 537 rounds of 9 mm bullets and 88 rifle cartridges in his possession. Lausch said the fact that the victim was a law enforcement officer would not play in a role in the prosecution. “We will dispassionately present the evidence,” the U.S. attorney said. Lausch expressed his gratitude for the agents and police officers who have continued to probe the case. “I thank law enforcement for doing the ongoing investigation,” Lausch said. The Federal Bureau of Investigation is the lead agency on the case. Brown fled the scene and drove 180 miles before crashing into a culvert along Interstate 55 in McLean County, according to police. Illinois State Police blocked his vehicle on I-55 and hit it to prevent his progress, law enforcement authorities said. Brown barricaded himself in the car for six hours, often pointing a rifle out of the vehicle, before surrendering, police said. Keltner was assigned to the U.S. Marshals’ Great Lakes Fugitive Task Force. 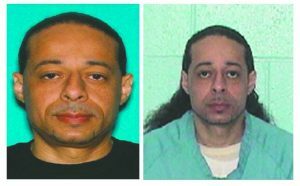 Authorities said Keltner was with the Task Force to serve a warrant on Brown, who was wanted by several Downstate counties for various crimes and a parole violation. Law enforcement agents had surrounded the Rockford Extended Stay Motel that morning when Brown fled through a third-story window and began firing at officers, police said. Keltner was shot in the motel parking lot and died that afternoon at Rockford Mercyhealth’s Javon Bea Hospital. A fund has been established to help the family. Visit the Facebook page of the McHenry County Sheriff’s Office for details.